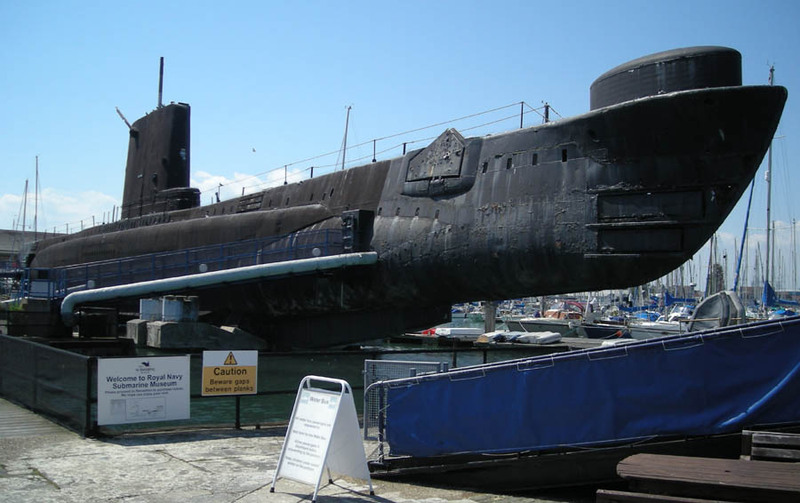 The Royal Navy Submarine Museum at Gosport (Portsmouth) show the history of submarine warfare. Experience many kinds of submarines - like the first UK submarine (Holland 1), a German World War II midget submarine and some of the more modern submarines. 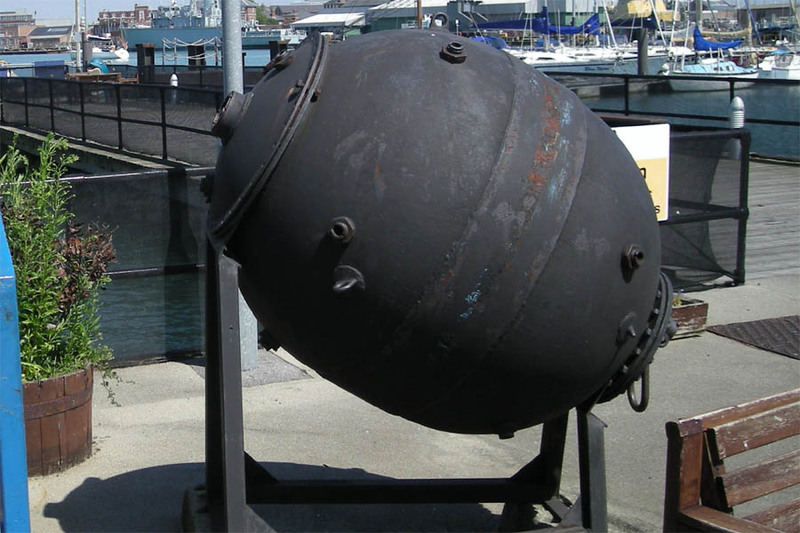 You can also see mines, missiles, torpedoes and other weapons used at submarines. Interior from the "Holland 1" submarine from 1901 at the Royal Navy Submarine Museum at Gosport. 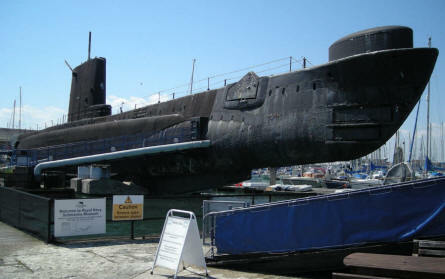 A post World War II submarine - HMS Alliance - displayed at the Royal Navy Submarine Museum at Gosport. 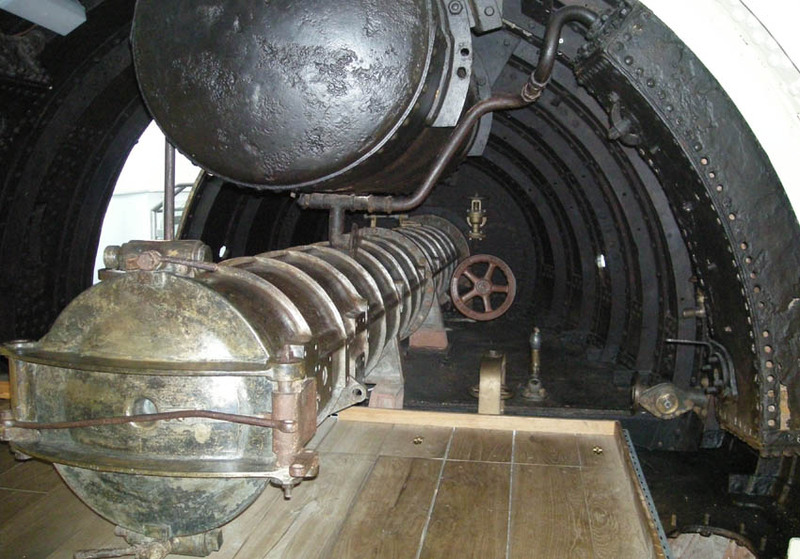 The submarine saw service in 1947 and today it is possible to have a guided walk inside it. 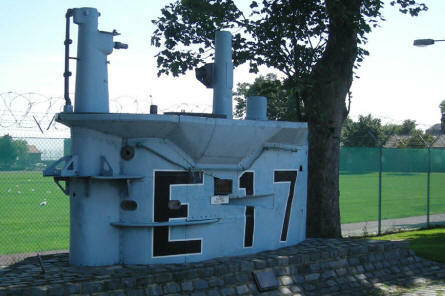 The tower from the World War I submarine E-17 displayed at the Royal Navy Submarine Museum at Gosport. One of the sea mines displayed at the Royal Navy Submarine Museum at Gosport. 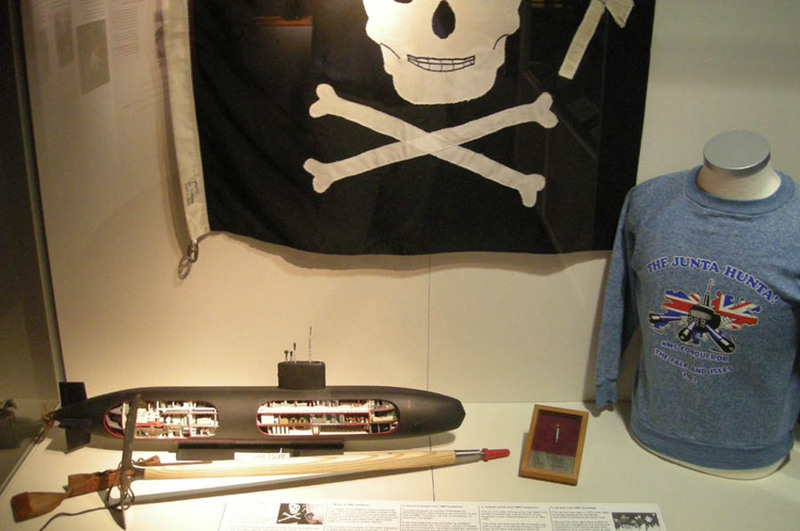 A part of the historic exhibition at the Royal Navy Submarine Museum at Gosport. 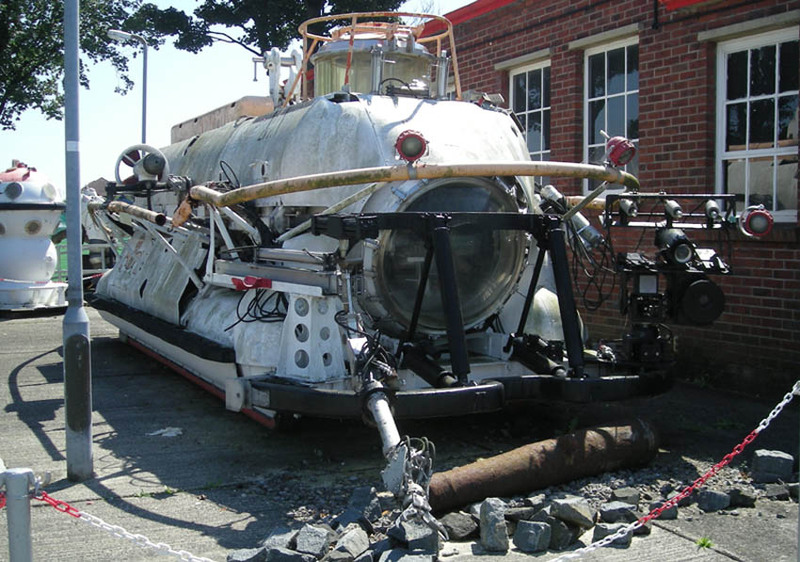 A modern miniature submarine displayed at the Royal Navy Submarine Museum at Gosport.